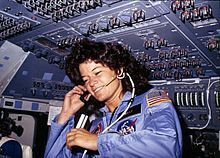 In honor of Sally Ride, who would've turned 64 a few days ago (born the same year as myself!) 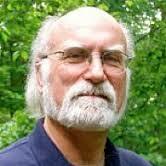 and Grant Wiggins, who's sudden death this week at ~65 stunned many educators who he touched and influenced (I didn't know him, but surely admired his passion... and passion for what you do in life is what it's all about isn't it!). Hope everyone finds some interesting things here you missed, and have a great weekend. (If by any chance you don't know of it, go and play around on it for awhile; you'll get lost in all the great articles and other content, including podcasts ). 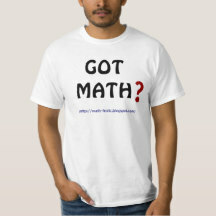 1) How did you first become interested in mathematics, and when did you know you wished to pursue it professionally? It was at school when I learnt about the epsilon/delta definition of a limit. I was amazed at how such a subtle concept can be captured using a few symbols! I didn’t immediately decide to do maths professionally, but when I found myself in England a few years later and wanted to do a degree, I thought that (not being a native English speaker) maths was the best option since it doesn’t involve writing essays. It turns out it was a great choice because I haven’t looked back. 2) How do you go about selecting the topics you write about at +Plus Magazine? Also, my sense is that you maintain a greater focus on the foundations, ideas, philosophy, and history of mathematics, than on mathematical procedures/computation... Is that a fair statement? (...in one place I saw you quoted as saying you were "fascinated by the ideas, but bored by the details" of math... which I can relate to). In my experience most mathematicians are more interested in ideas than in computational details — but maybe that’s because my background is in pure maths. But also, my co-editor Rachel Thomas and I see Plus as a place where people come to explore the world of maths, rather than find answers to particular problems or learn about techniques — there are other places for that. We’d like to provide the "big picture" that people often lack when it comes to maths, and that involves looking at applications of maths, which we do quite a lot, but also at history and philosophical and foundational issues. The Millennium Mathematics Project is an umbrella organisation comprising a number of projects. Plus is one of them. The MMP is physically based at the University of Cambridge, but active nationally and internationally. It's about increasing mathematical understanding, confidence and enjoyment, enriching everyone's experience of mathematics, and promoting creative and imaginative approaches to maths to all ages. Another of its projects is our sister site NRICH which has thousands of free resources for ages 3 to 19. The MMP also comprises maths-themed road shows that visit schools, as well as local activities. You can see all the projects here: http://mmp.maths.org. The MMP has been around since 1999 and has quite a wide reach. During 2013/14 the online resources attracted nearly 8 million visits and more than 32.6 million pageviews. We worked face-to-face with more than 26,000 students aged 5 to 18, and over 5,500 teachers. Over 1,500 people took part in our activities in the Centre for Mathematical Sciences in Cambridge. It was Ian Stewart (in particular his book “Does God Play Dice?”) who inspired me to do a PhD in maths, in particular in complex dynamics. So he’s definitely one of my heroes. I also really like the books by John D. Barrow (who happens to be my boss, but honest, they’re good) for his clear and easy style and wide range of topics. Mario Livio is another author I like… and there are many more, too many to list! "Numericon" was the perfect popular maths book for me and Rachel Thomas (the other editor of Plus) to write. Essentially it’s a journey through the land of maths, visiting some of our favourite places, faces and landmarks. Each chapter is headed by a number, which we use as a jumping-off point into some area of maths: from prime numbers, or the classification of finite simple groups, to climate science and network theory. It was lots of fun writing Numericon — in our time as Plus editors we have come across so much interesting maths and so many fascinating mathematicians; writing the book felt like downloading our favourite stories onto a page. 5) There's a lot of emphasis today on encouraging more females in mathematical (and other STEM) careers. What was your own experience like following that path, and do you have any advice for young women contemplating a future in mathematics today? My own experiences have been mostly very positive and I’d encourage any woman who likes maths to go for it. It can be intimidating to walk into a maths department and see mostly white males, but think of yourself in terms of what you have in common with people (a love for the subject) rather than what sets you apart. Also, mathematics offers such a wide range of career options, so if you like maths, you really can’t go wrong with a maths degree. Thanks Dr. Freiberger, and continued success with Plus Magazine, a great resource which any reader of this blog should certainly be following. 16) And it was a busy week here at MathTango: an interview with philosopher Penelope Maddy last Sunday, a book review ("How To Bake Pi") on Wednesday, and already another interview this coming Sunday! An intrinsic hazard of reviewing media, be it movies, TV, plays, music, books etc., is that 'expectations' play a significant role in any judgment. I like Eugenia Cheng's new book, "How To Bake Pi," and recommend it, and believe it will be on my year-end top 10 list... B-B-BUT I suspect it won't be in the upper tier of that list. It didn't quite live up to the high expectations I had for it, in a year (that isn't even half-over) with many excellent popular math volumes already out. Very oddly, Cheng's book appeared almost the same week as Jim Henle's "The Proof of the Pudding," which I reviewed HERE -- two books sharing the unusual approach of combining mathematics and kitchen recipes! Other than the analogies to cooking, there is little similarity between the volumes however, and to my surprise, I actually enjoyed the Henle offering more, though Cheng's effort is more substantive, serious, and covers matters I specifically wanted to learn about. "How To Bake Pi" is divided into two broad parts, 1) on what mathematics is, and 2) on category theory. Structurally, it reminds me of Paul Lockhart's "Measurement," which was also divided in two parts, and in both instances the first part is the easier, faster read, while the second is a heavier slog (for Lockhart it was "size and shape" largely on geometry, versus "time and space" largely on calculus). 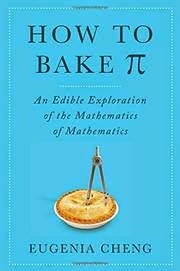 "...Bake Pi" begins, simply enough, trying to explain "what math is," and in the process, demolish preconceptions that many hold. Cheng focuses on "abstraction" and "generalization" as key elements of mathematics. The author does a good job of explaining "abstraction," which involves taking away all the "clutter" or non-essential components of an idea or problem, and reducing it to bare necessities. She further notes that mathematics is "different" from "science," where evidence is key. Instead, in math, "logic" is what drives thinking forward. She goes on to talk about "principles," and "process," leading to "generalization" and eventually "axiomatization." With analogies and examples Cheng does a good job of walking the reader through this garden of mathematical features. Similar to Jim Henle's book, each chapter here begins with a kitchen recipe of some sort -- I didn't find Cheng's recipes as mouth-watering as Henle's, but their real purpose is to make some point via analogy that readers can relate to. [math is] "very hard work... Be prepared to struggle, both intellectually and creatively. The truth is, I don't know of any human activity as demanding of one's imagination, intuition, and ingenuity." Another reviewer of the book (at MAA) writes, "I can't help but feel the target audience for this book is very small (in particular I can't think of a specific person I would give it to as a gift)..." I think that's overly-harsh, but I do understand the sentiment -- actually the "target audience" is quite broad, but I'm less certain how well-illuminated and satisfied readers will be on the central topic of the volume: category theory (...yet, there may be no other introductory books on the subject to compete with it). In fact while making my way through Part 2 of the volume, I wondered whether a different publisher/editor might have fashioned a better result. Could Princeton University Press (my favorite publisher) have rendered a sharper edition of this volume than did Basic Books, the actual publisher (Basic publishes many good popular math volumes, but I usually feel their presentation is a notch below Princeton). Or, alternatively, I wondered how an explanation of category theory from two of my favorite math explicators Steven Strogatz or Keith Devlin (if they could even expound on the subject) might have differed from/improved upon Cheng's effort. But Cheng is clearly passionate about her subject, loves teaching, and I do hope will give us additional popular math offerings in her future (...and for now hers may be the best introduction to category theory available). So by all means consider this book, and especially so if you've been waiting for a primer on category theory to come along... just don't presume that that murky topic will be made crystal clear by the time you finish the volume. After a couple dozen interviews with bloggers, teachers, and popular math authors, I realized one area I'd not heard from yet was "philosophy of math," so that omission is corrected today! Penelope Maddy is Distinguished Professor of logic and philosophy-of-science at the University of California Irvine, and well known in philosophy circles for her explorations of the foundations of logic and math. 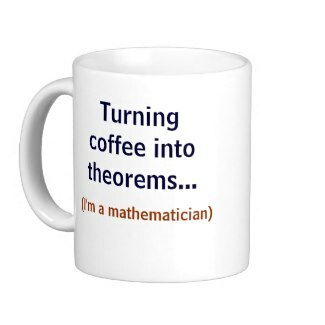 1) My understanding is that your interest in mathematics was initiated by set theory, at an age when I think most young people are more interested in computations, recreational math, or methods (not theory). Can you describe what it was about set theory that appealed to you at a young age? What first caught my attention was the rigorous proofs in high school geometry -- the idea that pure reasoning could squeeze so much information out of such simple assumptions. Algebra, word problems, had something of the same charm: you were given some meager bits of information, and by manipulating equations, you could answer questions you wouldn't have thought answerable. But I really caught the bug in one of those great NSF summer programs for high school kids, where I learned that 2+2=4 could be proved in naive set theory! I soon read about transfinite numbers (what?! more than one kind of infinity! ), but the topper was Cantor's Continuum Hypothesis. This is Cantor's answer to the first question that arises in the exponentiation table for transfinite numbers, a question that involves the very structures used scientifically to model space and time -- and it turns out not to be provable or disprovable from the accepted axioms that found all the rest of classical mathematics! What could a solution to that kind of problem even look like? Well, soon I was off to UC Berkeley to study set theory. 2) What would you say are a couple of the most significant unresolved problems in the philosophy of mathematics these days? And what questions/issues (if different from above) do you spend most of your own time working on these days? Since the Continuum Hypothesis remains unsettled, I'd have to list it as a significant unresolved problem. What I've been trying to do on the more philosophical end of things is to develop a cogent picture of what would count as a resolution and why. Everyone pretty much agrees that CH can't be settled from ZFC. You have to buy that ZFC is consistent (otherwise it proves both CH and not-CH!) and that our formal model of 'proof' captures what mathematicians actually do well enough for these purposes -- but most people accept these things. So, as you suggest, the obvious way to try to resolve CH is to look for a new axiom to add to ZFC. Some mathematicians resist this idea, taking ZFC to be somehow sacrosanct, so that independence from ZFC is the end of the story, but when you examine the reasons why the axioms of ZFC are accepted, it doesn't seem so far-fetched to think that there might be others that could pass similar tests. There are various candidates up for debate, and for a philosopher like me, there's the fascinating problem of understanding what kinds of considerations should count one way or the other. Years ago, when I was a young math major, the consensus among set theorists willing to take the question seriously (that is, among those who didn't take independence from ZFC to be the end of the story) was that CH is not only false, but badly false. (If you think about the real line, CH says there's no set of points with size in-between that of the set of points corresponding to natural numbers only and that of the set of all points on the line. For CH to be 'badly false' is for there to be sets of lots of different sizes between these two.) Since then, it's come to seem more plausible that it's false but not badly so (say only one intermediate size) or even true. There are potential axioms that settle it various ways, but no clear winner. So the truth is that I don't have a hunch. It could even turn out that two conflicting new axiom candidates might have all the attractions one could ask for, and that set theory would end up bifurcating. This would require a major rethinking of what set theory is supposed to be, but stranger things have happened. For what it's worth, on this one I do have a hunch -- I don't think set theory will bifurcate. 3) I recently read a quote from a mathematician saying, "There are two kinds of mathematics: applied mathematics and mathematics that is not yet applied." How do you feel about that? Is there any such thing as "pure mathematics" that will never have any practical application? In the times of Newton and Euler, mathematics was just the study of the mathematical features of the world; as we might put it, all math was applied. Over the course of the 19th century, this changed, for a number of reasons: mathematicians began to pursue questions of purely mathematical interest, the rise of non-Euclidean geometries implied that at least some geometries were independent of the world, the role of atomic theory in physical chemistry and kinetic theory gradually revealed that differential equations, formerly regarded as the language of 'the great book of Nature' (Galileo), are actually 'a smoothed-out imitation of a really much more complicated microscopic world' (Feynman). The idea that mathematics shouldn't be tied down to physical applications became the orthodoxy of modern pure mathematics. It's certainly true that a surprising variety of these pure mathematical theories have ended up being useful in natural science after all, but I don't see any reason to assume that this will be true for every pure mathematical theory. 4) For many professional mathematicians, Martin Gardner played a significant role in steering them toward math at a young age. Did Gardner (or recreational math more generally) have much influence on you? Alternatively, any significant influence from logician Raymond Smullyan? I guess I was more fascinated by questions about what mathematics is and how it manages to do what it does than by particular mathematical or logical puzzles. How do you view Tegmark's outlook? Do you know of any philosophers who share Max's view? In ancient times, the Pythagoreans thought that 'all is number', and they were stunned when it turned out that the square root of two isn't even a ratio of numbers. Nowadays most philosophers think of mathematical things as abstract -- without location in space and time, without causal powers -- and in this way quite different from ordinary objects. But there are those in the philosophy of science who take the position that 'everything is structure', and I suppose that might be a version of Tegmark's position. 6) For readers who may be inclined toward mathematics, but are unfamiliar with "philosophy of mathematics" could you recommend a couple of "primer" books that are a good introduction? And do you have any Web-accessible pieces of your own on math philosophy that you can recommend to non-specialists? Gottlob Frege, Foundations of Arithmetic (1884) is a classic text. People might enjoy a paper of mine called 'How Applied Mathematics Became Pure'. 7) Finally, David Hilbert famously said that if he ever woke up from a 1000-year nap, the first question he'd immediately ask would be, "Has the Riemann hypothesis been solved?" 1000 years is too far off to even imagine, but if YOU were to come back, say 200 years from now, what mathematical or philosophical question would you most like to find settled? This will come as no surprise: I'd want to know what ultimately became of the Continuum Hypothesis! ==> Also, be sure to return here Sunday morning when I'll have Interview #31 posted. "Towards the end of my third year in graduate school, though, I completely lost interest in math. It didn’t happen gradually, either – I just woke up one day and wasn’t interested in math anymore. I’ve never known why." That was Russell summing up close to 70 years of philosophical contemplation. ...Frustration, or epiphany? Sometimes math seems like a Necker Cube, changing appearances when stared at long enough... penetrating and insightful one moment, trivial and mundane the next. Anyway, I'm left to wonder, do other mathematicians experience the flashes of doubt and lapses in math-veneration of Lawler and Russell (and me), from time-to-time??? Or are these rare occurrences, from too much beer and pepperoni pizza? ;-) Anyone...? Will quickly mention too that Evelyn has chosen one of my very favorite 2014 books, Matt Parker's, "Things To Make and Do in the Fourth Dimension" as an adjunct text for one of her math classes. 9) New Rubik's Cube solution record set last weekend, now down to 5.25 seconds!